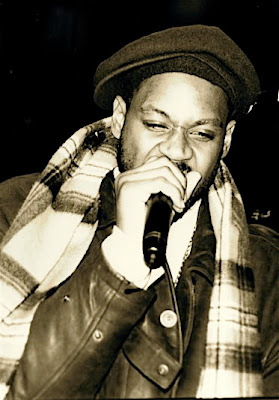 Ghostface Killah is like a wily old guy playing pickup bball at your nearest gym. He rarely strays away from the same few moves, but for some reason they always seem to work. After his lackluster r&b attempt with Ghostdini, Ghost comes back and continues in the hard-hitting lineage of Big Doe Rehab, Fishscale, and the Pretty Toney Album. A showman like few others in the rap game, Ghostface has an eternal flame hunger, it never goes out. After decades of putting out albums with Wu, and a solo career which has been arguably stronger than any other Wu member, Ghost brings his friends along for this newest album, Apollo Kids, and this jamandahalf. Ghost's verse is all over the place: Benin, Coachella, licorice, and an imam are all thrown into his minestrone soup of a verse. Each line is delivered like its his last on earth, with one running into another to not give the Grim Reaper a chance to keep up. Long time contributers GZA and Killah Priest finish the song off, each dropping knowledge, and all three master the beat in three unique ways. The beat in itself is a monster: part motown, part chant, it's the perfect introduction song to an album full of hard hitting rhymes and great storytelling.